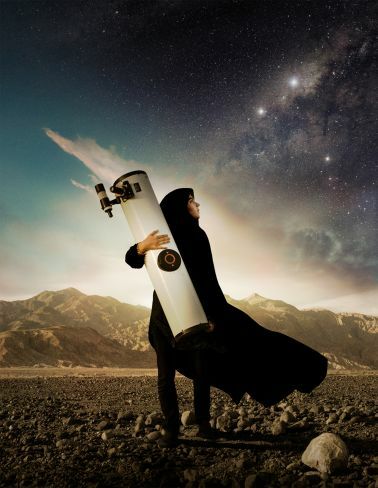 WBEZ and the Chicago International Film Festival are proud to screen Sepideh: Reaching for the Stars as the third film in our High Fidelity Film Series exploring science and film! The doors of the Music Box Theatre will open at 7pm for general seating. At 7:30pm, we will screen this documentary directed by Berit Madsen. Following the film, Jerome McDonnell from Worldview will moderate a conversation inspired by the film&apos;s topics with scientist/researcher Sara Rastegar and anthropologist Elham Mireshghi. NOTE: This event is free to High Fidelity and Cinema/Chicago members but does require an advanced RSVP. Seating will be first come, first served, and it is not guaranteed. This event may be overbooked to ensure a full house. Please arrive 20-30 minutes before the screening starts. Sepideh wants to become an astronaut. She spends her nights exploring the secrets of the universe, while her family will do anything to keep her on the ground. The expectations placed on a young Iranian woman don’t match up with Sepideh’s ambitions, and her plans to go to university are in jeopardy. But Sepideh won’t give up her dream so easily. She strives onward, receiving unexpected help from heroes near and far. Farsi with subtitles. Jerome McDonnell provides global affairs coverage of world issues with in-depth conversations on international issues and their local impact. 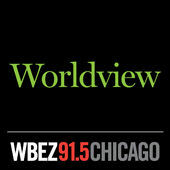 Jerome joined the staff of WBEZ in 1984 as an intern, later becoming a producer for the former programs Inside Business, and Midday with Sondra Gair–an international news analysis show. He has been a producer of Weekend Edition Saturday and also served as executive director of talk programming. Jerome has a Peter Lisagor award and has been awarded by the Illinois Broadcasters&apos; Association for “Best Public Affairs Program in a Series.” Jerome has an B.A. in Communications from Northern Illinois University. A native of Chicago, Jerome resides in Arlington Heights with his wife, Janet. They have two sons, Sam and Owen. Sara Rastesgar is a PhD candidate in earth and planetary sciences at Northwestern University. She is also a researcher at the Cosmo Chemistry Lab at the Field Museum. She earned her BA in electrical engineering from Shiraz University in Iran and a masters in physics and astronomy from Northwestern University. She was born and raised in Shiraz, Iran. Elham Mireshghi has a Bsc. in electrical engineering and computer science from UC Berkeley and an MA in anthropology from UC Irvine. She&apos;s currently completing her PhD dissertation in anthropology on Iran&apos;s unique, legalized and religiously sanctioned program on kidney sales . She has also spent a significant portion of her adolescents and early childhood in Iran where she was born.